The fishing, the beaches, the relaxation, the most convenient location for Holiday Accommodation when visiting Carnarvon, has to be the Coral Coast Tourist Park. Located right in the heart of Carnarvon, you’re walking distance from the town centre and magnificent waterways. Choose from our range of accommodation including self contained park homes, cabins or an ensuite or standard site with annex pad. 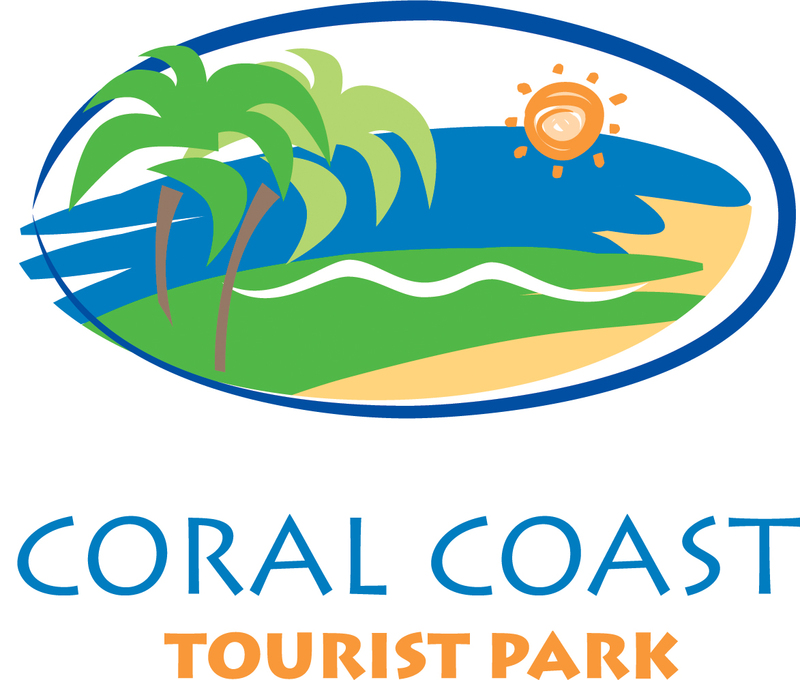 So the next time you think about Accommodation and Caravan Parks in Carnarvon, be sure to contact us here first at Coral Coast Tourist Park. Depart Perth and follow the Brand Highway north for approximately 904 kilometres. Turn left at Carnarvon onto Robinson Street and continue into town. Left at intersection then four and a half kilometres on left. Located right in the heart of Carnarvon, the most convenient location for holiday accommodation when visiting Carnarvon, has to be the Coral Coast Tourist Park. Choose from our range of accommodation including 4 star deluxe family and spa suites, park homes and backpacker cabins or an ensuite or standard site with annex pad. Our facilities include a modern camper’s kitchen, free WIFI throughout the park, new car wash bay and free barbeques. Relax in our tropical swimming pool, hire a bike and amuse the children in our playground. Use the Coral Coast Tourist Park as your ideal base to explore all the sites and activities Carnarvon can offer. The next time you think about Accommodation in Carnarvon, be sure to contact us here first at Coral Coast Tourist Park. We have Powered Sites and Ensuite Sites for Motorhomes, Campervans, Camper trailers, Caravans and Tents. We have budget cabins for couples or friends or backpackers and Standard Cabins with shared Ablutions for the budget minded traveller. The standard and ensuite cabins can hold 6 people. Some have shared facilities and some have their own ensuite. Then for those that want a bit more luxury we have our Deluxe Spa Suites for couples or our 2 bedroom Deluxe Family Suites. We do allow you pet at our establishment. Please let us know at time of booking. Tariffs include Site Only. Based on 2 persons. Powered sites with water and sullage. Most sites have concrete annex pads. Some sites allow for big rigs and pets. Please notify when booking. Extra Adults $10 per night and extra children $8 per night. Tariffs include Room Only. Based on 2 persons. The partially self-contained cabins are ideal for the budget conscious traveller. The Standard Cabins sleep up to 6 people and contain a double bed in a separate bedroom and bunk beds in the living area. The Cabins come fitted with air-conditioning and heaters and have a veranda for alfresco dining. The shared amenitiesare in close proximity from the cabins. Our 1 bedroom Spa Suites are ideal for those looking for a more luxurious stay. Sleeping up to 2 people (one queen size bed) the fully self-contained Deluxe Spa Suites come with a spacious open plan air-conditioned living area, complete kitchen with dishwasher, dining and lounge area with flat screen TV, stereo and DVD player. The private corner Spa bath is ideal to unwind and enjoy your holiday to the fullest. Our Budget Cabins provide superior backpacker accommodation. The Budget Cabins sleep up to 2 people and contain a double bed or 2 single beds in an open plan living area, including a functional kitchenette. The partially self-contained cabins have air-conditioning and a reverse cycle heater and include a veranda for alfresco dining. The shared amenities are in close proximity from the cabins. Travel in camping style and enjoy your own ensuite. Powered sites with private amenities block. All sites have concrete annex pads and all have water and sullage. Pets allowed on some ensuite sites by appointment. Extra Adults $15 per night and extra children $8 per night. Stay with us in ease and comfort in our one bed room Ensuite Cabins. The Ensuite Cabins sleep up to 6 people and contain a double bed in a separate bedroom and bunk beds in the living area. The Cabins come fitted with air-conditioning and heaters and have a veranda for alfresco dining. The private Ensuite bathroom is conveniently located just outside of the cabin. Our 2 bedroom Deluxe Family Suites are 4 star apartment style accommodation at its best. Sleeping up to 6 people (one queen size bed, 4 single beds in form of bunks) our Deluxe Family Suites are air conditioned, complete with a large fully equipped kitchen and living/dining room as well as an alfresco dining area on the veranda with your own barbecue. Newly furnished with tasteful, quality furniture our Deluxe Family Suites are stylish, practical, spacious and child friendly. We do offer an after hours check-in service every night. Please as a courtesy let us know you will be arriving late though. Deposit Policy: Deposit of full night for single night.Otherwise deposit of first nights tariffs for multiple nights. Or the first week’s tariffs for multiple weeks. Cancellation Policy: Bookings Cancelled with 30 days notice from check in 50% refund on deposit. Bookings cancelled after this time, no refund on deposit. If an alteration occurs to your booking while staying with us any payments made will not be refunded. We strongly advise travel insurance for all your holiday bookings to meet your personal requirements in respect to personal injury, illness, employment changes or weather conditions. Pricing Policy: Pricing can be subject to change without prior notice.